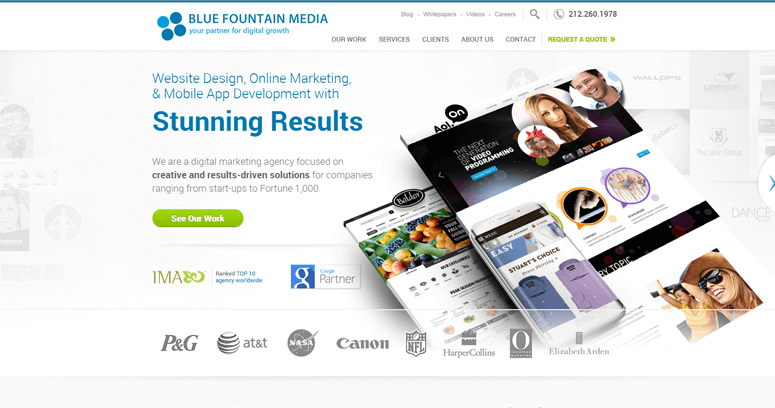 Blue Fountain Media (BFM) is a marketing and website creation company based in New York, New York. It caters to various types of clients by helping them to take their marketing for their business to the next level. 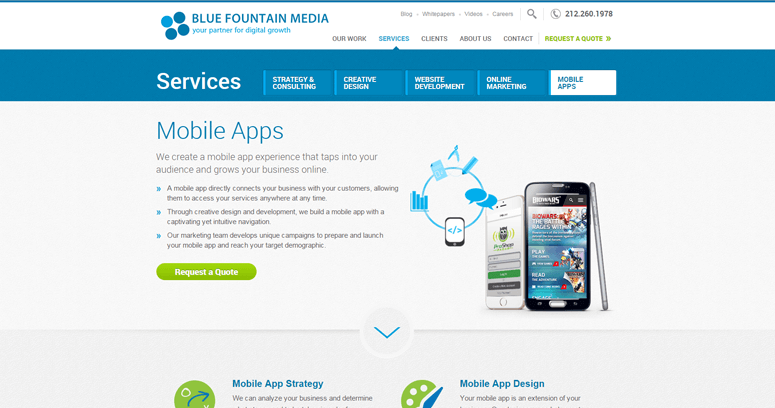 The main services that Blue Fountain Media offers include website design, mobile application creation and implementation, and regular paper marketing designs. 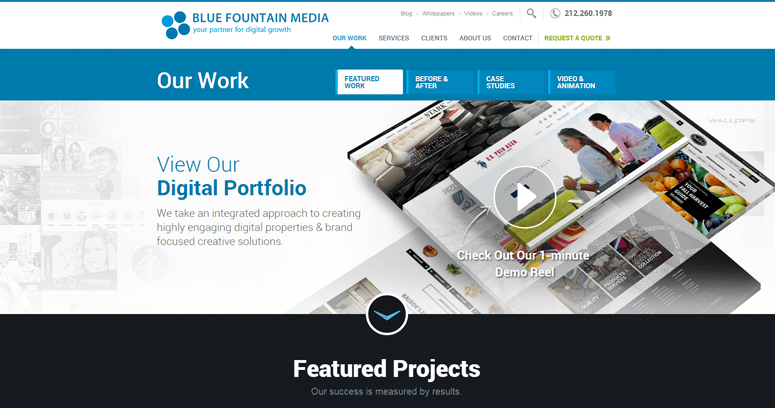 More than anything, BFM seeks to foster a sense of dependability with any client that they work with. The price quotes they give for their services are only discussed after they have a thorough discussions with a business owner to determine what his or her endgame business goals are. Then, after having that discussion, a marketing plan is drawn up by the BFM team in order to facilitate the implementation of a new-age, scaled approach marketing plan.